Cubic zirconia and simulated pearls combine to create the classic vintage earring, with all the elegance and flamboyance of the Deco period. 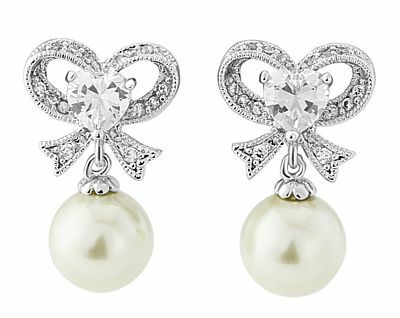 Features a bow style design with a high quality cz crystal heart and a dark ivory simulated pearl. Size is approx 3cm/1.2” long.